Gamescom always delivers some of the absolute biggest games, trailers, and announcements of the year, with only E3 and the Tokyo Game Show outgunning it in terms of BIG reveals. Well, this year those awesome announcements are going to be taken to the next level with Gamesradar's Gamescom After Dark show in association with Honor, an exclusive gaming show that is set to feature the hottest guests, best sneak-peak game footage, and juiciest panels stuffed with games makers and industry celebrities. And, the best thing is that the entire Gamescom After Dark show is being live-streamed for FREE over at GamesRadar's official Twitch channel. Simply tune in to watch the whole show live each evening. 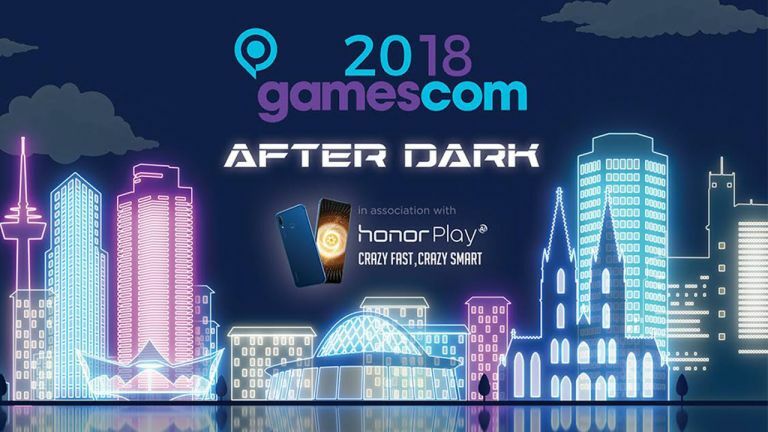 The Gamescom After Dark show is running live on two nights this week (Wednesday August 22 and Thursday August 23) at 7PM CEST / 6PM BST / 10AM PT / 1PM EST. Each night there is packed schedule of events and guests (see below), with some highlights including exclusive talks with the teams behind games such as Anthem, Forza Horizon 4 and Sekiro: Shadows Die Twice. The show is being hosted by GamesRadar's awesome video team of James Jarvis, Zoe Delahunty-Light, and Brandon Salt, so fans of the site's usual content will be right at home watching the Gamescom After Dark show. Tommy and Adam from Two Angry Gamers are going to be dishing the dirt on how to git gud at Fortnite with their very own live session. We get a look into Bioshock-like indie Close to the Sun, set on an eerie ship in an alternate 1890s where Tesla’s research has changed the world. A live demo is in store for all you Guardians out there as we play through a chunk of Destiny 2: Forsaken. Brandon takes us around the show floor at Gamescom to see what the hell goes on among all those crowds of fans, devs, and the merch...oh dear lord, the merch. Plus we’ll be seeing exactly what Bethesda has in store at their mind-blowing booth! We get to show off gameplay from a mysterious unannounced title from a studio that we can’t reveal at this point, and yes, it is super top secret stuff. For now. It’s just what the doctor ordered with this spiritual successor to Theme Point Hospital, so prepare yourself for a glimpse of some truly bizarre ailments and cartoony, totally-legit remedies. We sit down with Emmanuel Freund from Shadow, the cloud-based gaming software for your PC, the gems from Two Point Hospital, and the people from the mystery secret studio to chat about the world of gaming. John Warner, Anthem’s Game Director, is going to talk us through an Anthem demo that’ll make your eyes deliriously happy. This eerie horror game takes you (or me) back to your childhood to face fears like the dentist, the thing hiding under your bed, and other horror that you’d rather keep forgotten. Ralph Fulton, Playground Games’ Creative Director, gets us the low-down on Forza Horizon 4 with some glorious gameplay. Watch those spaceships in action in this galactic adventure complete with an exclusive interview and a decent dose of gameplay. Miss Bloodborne and Dark Souls? See what’s in store in a demo of Sekiro as we chat to the minds bringing its uber-challenging world to life. We talk all about Honor’s latest voyage into mobile gaming and gaze at the tech they have in store for gamers everywhere. Charles Cecil of Broken Sword fame talks us through the game’s arrival on Nintendo Switch and on his illustrious time in the games industry.